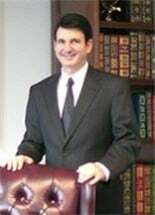 Robert M. Mendell, Attorney at Law, P.C. is a mergers and acquisitions, tax law, and estate planning law firm based in Houston, Texas. The firm's attorney, Robert M. Mendell, has over 35 years of experience representing Houston area clients and has handled a diverse range of legal matters over his career. In addition to being Board Certified in Tax Law by the Texas Board of Legal Specialization, Mr. Mendell is also a licensed Texas Certified Public Accountant (CPA) and has been very active in the Houston CPA community, having taught numerous tax and business law seminars in association with various local CPA professional organizations and holding various officerships and committee chairmanship positions through the years for the Houston CPA Society (the Houston Chapter of the Texas Society of Certified Public Accountants). Mr. Mendell has also received an AV peer review rating from Martindale-Hubbell, its highest rating. The firm has substantial expertise in mergers and acquisitions, tax planning and tax law, estate planning, family limited partnership formation and structuring, probate administration, business organization formation, and related legal matters. Tax lawyer, Robert M. Mendell, has taught more than 200 tax and business law seminars. The firm prides itself in handling complex legal matters and being responsive to clients' questions, concerns and problems. Contact the firm to speak directly with Robert M. Mendell concerning any substantial mergers and acquisitions (M&A), tax planning, tax law, estate planning, family limited partnership (FLP), probate administration, business organization, or business planning legal matter. Mr. Mendell can be reached by phone at 713-888-0700 or by e-mail.